"Perfect for potlucks and picnics, this colorful and zesty salad will not wilt." 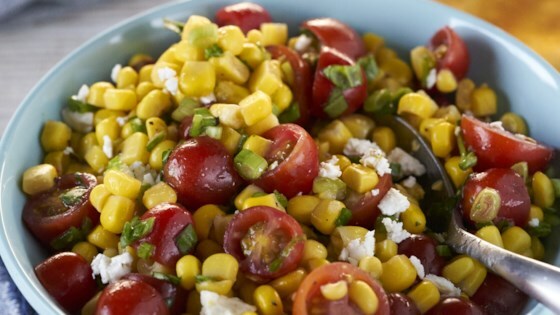 Combine corn, tomatoes, green onions, basil and vinaigrette in a large bowl. Gently stir in feta.